I don't know whether the hens were shell-shocked or just tame, but they let the girls pat them and didn't run away. Finally, after months of spurts of energy and effort, my chook pen is finished and I was able to bring two lovely hens home to roost. It will be good to collect the eggs and throw the scraps to them. 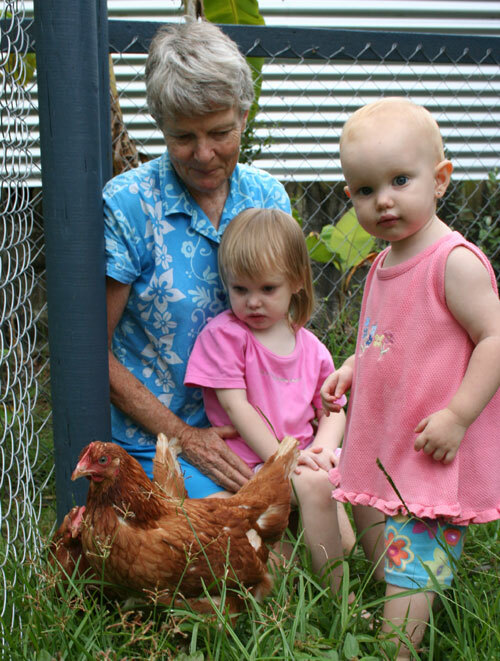 I designed the chook pen with four bays. 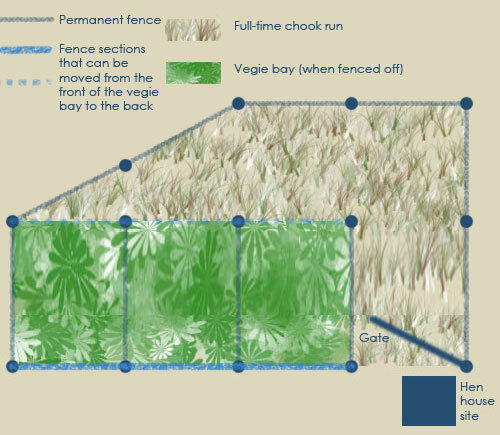 Three bays have a removable fence so the bay can either be fenced as part of the chook run or fenced off so I can grow vegies in it. I intend to use the bays for crop rotation with the help of my hen tillers and fertilisers. I still have to build a proper “poulet chalet” to allow us to collect the eggs without entering the pen. Hopefully, I’ll have more on this next month when I finish modifying a kennel to make a hen-house.